Dr. Jeffrey H. Lawson details the causes of central venous pathology and how the HeRO Graft provides durable treatment outcomes. There are many potential advantages to the HeRO Graft in reducing catheter dependency including improved outcomes and cost savings. 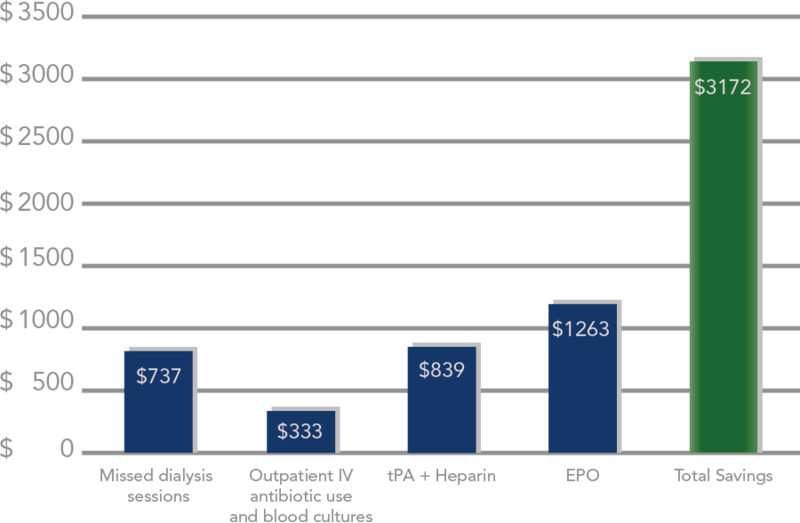 HeRO Graft has infection rates, dialysis adequacy rates, and patency rates that are comparable to traditional AV grafts. Catheters do not (see below). Dageforde et al., JSR 2012. Ramanathan et al., Infect Control Hosp Epidemiol 2007. O’Grady et al., The Centers for Disease Control 2002. Gage et al., EJVES 2012. Yost and Dinwiddie, American Society of Nephrology (ASN), Nov 2010.